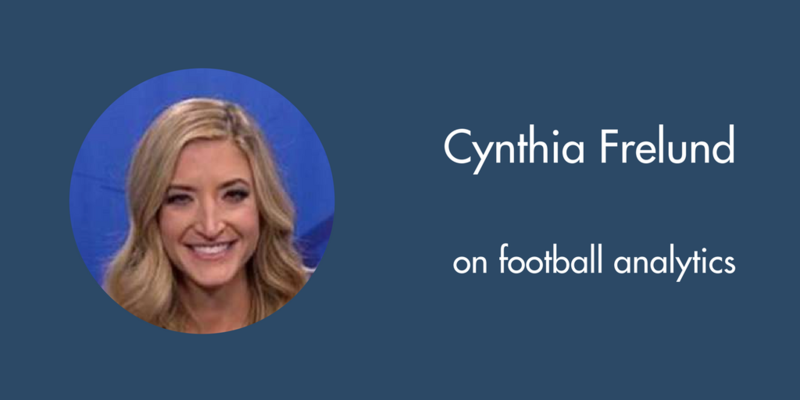 On this episode of The Football Analytics Show, I talk with Cynthia Frelund, the NFL Network’s analytics expert. She has also worked on analytics for the NFL league office and ESPN. Cynthia not only does quality work but also brings energy and excitement to football analytics. Thanks for doing this podcast, both Ed and Cynthia. I’m actually pursuing a Data Science immersive program in Sept and this interview was very aptly timed for me. Thanks so much for doing it! I’m really sorry about that. You can also grab it on iTunes or Spotify.